Looking for an affordable solution for that family getaway or retirement adventure? Camden Caravans showcases a range of quality products to suit your needs and is fast becoming recognised as the local market leader in putting service before profit. Whether you are an experienced or first time caravanner, do yourself a favour and make contact today with our friendly Camden Caravans team. After hours appointments available. Camden Caravans services all makes and models. 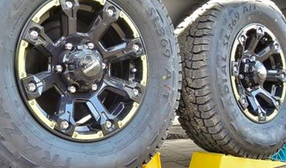 With a licensed mechanic you know you will be in safe hands. If you would like to request a booking in our workshop, please click the link below to provide your details. Note : This is only a booking enquiry form. By filling in this form, you are not making an actual booking. We will process your information and contact you to confirm availability and other information about your request. With a wide range of spare parts available in stock. Agents for Camec and Coast to Coast and LED Auto Lamps. With awnings and annexe parts available. Camden Caravan is a family owned and operated business, which offers a reliable and friendly service; ensuring customers have access to a wide range of additional benefits including caravan servicing, spare parts and accessories. Managing Directors, Anthony and Marianne Rolf bring 25 years business management experience, successfully servicing the transport industry and more recently moving toward their personal interest for caravanning. They tirelessly work side by side with a qualified team who boast a wealth of caravanning knowledge obtained through practical hands on experience. The team at Camden Caravan understand what is required to own and operate your own caravan and ensure customers take with them much more than just a caravan. "It's the holiday you buy once and use for the next 10 years." says Anthony. "We ensure our customers leave with more than just a caravan, so they can holiday with the required knowledge and expertise when committing to that once-in-a-lifetime holiday investment". "We focus on providing great customer service first and foremost, which means we will go above and beyond expectations." Adds Marianne "We team up with industry experts and constantly evolve to find unique ways in which to improve the experience for our customers." Camden Caravan has been supplying fine quality products for over 30 years and even under new ownership has retained many of the loyal staff who brings extensive caravanning knowledge. 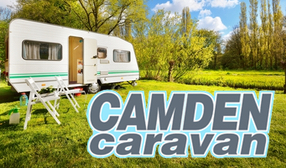 Sell your caravan quickly and simply to Camden Caravans! "This is the best service we have received from any caravan sales area and we highly recommend this Business"
"Just completed the purchase of our second van in four years from Camden Caravans 14/03/2016 and the experience was great once again. Thank you Anthony and his team. Job well done"
"We would like to say a huge thank you to Jeff and Christie for their help in the purchase of our Jayco Penguin. Being 'simple people' with simple needs, we are thrilled with our update from our camper trailer. Of course, a very special thank you to Tom for all his time, especially in the hot sun on Monday, as he showed us all we needed to know before we happily towed our little van out the gate." "It's lovely to know that there are still people out there that practice good ol' customer service." Just completed the purchase of our second van in four years from Camden Caravans 14/03/2016 and the experience was great once again. Thank you Anthony and his team. Well done!